Nvidia is no stranger to producing reference designs for the graphics card market and working with partners to get products into customers’ hands. 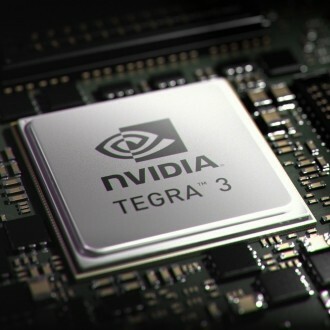 Now, according to a report by Russian site Mobile Review, the company is looking to replicate that strategy to some degree with smartphones and tablets built around Tegra. The devices would be offered to OEMs and ODMs to sell as their own, either with or without the Nvidia branding. The move is aimed at regaining lost ground against the likes of Qualcomm and Mediatek, which is popular with low-cost Chinese vendors. By building its own reference designs, Nvidia would have complete control over the hardware and overall performance. This significantly reduces the cost of bringing devices to market for OEMs because much of the heavy design and engineering work has already been done, and if the initiative garners enough interest Nvidia could get the scale necessary to buy and build components at competitive prices. Initially the focus will be on the low end of the spectrum, according to the report, but the idea is to deliver products that offer comparable quality to pricier options from “first tier brands”. Hardware based on these reference designs will reportedly start popping up around May - June this year, possibly at Computex, from small regional players in China and Russia. It should be noted that this still a rumor at this stage but we wouldn't be surprised to see it happen. The company tried something like this last year with the Kai platform for quad-core tablets, an initiative that didn’t take off, and has show its willingness to dive into the mobile market with their Project Shield gaming handheld.